Dr. Mark Reeves, Surgical Oncologist (Co-Host): Obesity is a huge problem in America. It increases one’s risk of heart disease, diabetes, arthritis, high blood pressure, cancer and the list goes on. KELIKANI: So let’s focus on two foods that we should eat if we want to lose weight—avocados and almonds. REEVES: Researchers added half of an avocado to the subjects’ lunch meals and found that they felt fuller over a longer period of time and had less of a desire to eat. Not only that, but their insulin levels decreased after the meal. Dr. Ella Haddad, Loma Linda University Associate Professor of Nutrition: A lot of people think that because avocados are high in fat that they are fattening. But that is not necessarily so, because higher fat foods help you feel full. KELIKANI: You see, avocados contain monounsaturated fat; it’s a healthy type of fat that our bodies need to reduce LDLs, that’s the bad cholesterol in our blood. REEVES: This fruit also contains 20 vitamins and minerals. And almonds have a similar effect. The high protein, high fat, and high fiber content in these nuts help us feel more full. KELIKANI: In fact, a researcher found in a weight control program that those who ate almonds as a snack had longer and better sustained weight reduction than those in the popcorn group. The study also found that people do not gain weight by eating a handful of almonds every day. But more than losing weight, it’s what these foods do to help combat the negative health effects of obesity. So how should we incorporate avocados and almonds into our daily diet? HADDAD: My recommendation would be about half an avocado. So, to substitute that too for maybe some of the butter, or the high fat cheese that is usually consumed at meal times. REEVES: And, for almonds, eat a handful a day. You can also substitute it for saturated fats like cheese and meat for added health benefits. KELIKANI: Liven up your diet by being creative with these foods. Instead of putting butter on your toast, top it with almond butter or avocado. You can even make a delicious avocado shake with almond milk. For a healthier take on dessert, make chocolate pudding with avocado instead of the dairy. Then top it with slivered almonds. REEVES: … on how you can live healthier, longer. Cory is a Chef and foodservice expert with over 25 years of experience and a lifelong curiosity about the culinary arts. A professionally trained culinarian he has worked in a broad range of food outlets including some of the finest kitchens in the Napa Valley. He now brings that passion into the classroom, teaching future dietitians and inspiring their curiosity about food. With his wealth of experience in the culinary world, knowledge of foodservice management, passion for teaching, and commitment to creating healthy yet engaging menus, Chef Cory is raising the bar for quality foodservice. 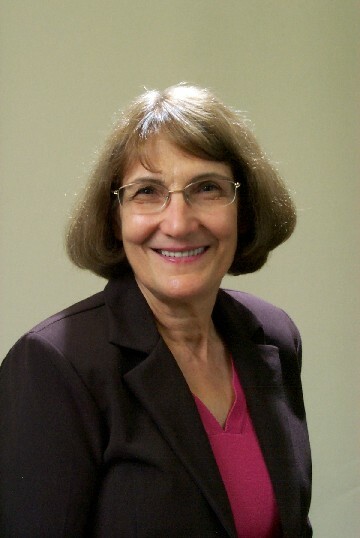 Dr. Haddad completed her undergraduate work at La Sierra University in Riverside in 1957, her Dietetic Internship at the White Memorial Hospital in Los Angeles in 1958, and her doctoral degree at Loma Linda University in 1979. Moving to Lebanon, she taught at both Middle East College and the American University of Beirut. She is currently an Associate Professor at the School of Public Health, Loma Linda University—a position she has held since 1989. She is the program director of the Master of Public Health (MPH) program in nutrition and in nutrition and dietetics. In addition to her many teaching and administrative responsibilities, Dr Haddad is the resident nutritional biochemist for the nutrition research group. She has been instrumental in conducting laboratory research for many of the group’s feeding trials and training students in biochemical analysis techniques. She provides hand-on learning experience to those with an interest in laboratory work. Dr. Haddad is also supervising the laboratory work for sub-studies of the Adventist Health Study-2, a cohort study of approximately 100,000 Seventh-day Adventist participants. Dr Haddad is a member and has served in many associations and committees including the American Dietetic Association, American Public Health Association, the Society for Nutrition Education and Behavior and the Inland District Dietetic Association where she served as the chair of the legislative committee for many years. What she enjoys most are her grandchildren and gardening. The listed articles below are selected references on nuts and avocados on research conducted by the Department of Nutrition, School of Public Health, Loma Linda University. Sabaté J, Haddad E, Tanzman JS, Jambazian P, Rajaram S. Serum lipid response to the graduated enrichment of a Step I diet with almonds: a randomized feeding trial. Am J Clin Nutr. 77:1379-84, 2003. Jambazian PR, Haddad E, Rajaram S, Tanzman J, Sabaté J. Almonds in the diet simultaneously improve a-tocopherol concentrations and reduce plasma lipids. J Am Diet Assoc. 105:449-454, 2005. Haddad E, Jambazian P, Karunia M, Tanzman J, Sabaté J. A pecan-enriched diet increases γ-tocopherol/cholesterol and decreases thiobarbituric acid reactive substances in plasma of adults. Nutrition Research 26:397-402, 2006. Torabian S, Haddad E, Rajaram S, Banta J, Sabate J. Acute effect of nut consumption on plasma total polyphenols, antioxidant capacity and lipid peroxidation. J Hum Nutr Diet 22:64-71, 2009. Rajaram S, Haddad EH, Mejia A, Sabate J. Walnuts and fatty fish influence different serum lipid fractions in normal to mildly hyperlipidemic individuals: a randomized controlled study. Am J Clin Nutr 89:2657S-1663S, 2009. Hudthagosol C, Haddad EH, McCarthy K, Wang P, Oda K, Sabate J. Pecans acutely increase plasma postprandial antioxidant capacity and catechins and decrease LDL oxidation in humans. J Nutr 141:56-62. 2011. Chiang YL, Haddad E, Rajaram S, Shavlik D, Sabaté J. The effect of dietary walnuts compared to fatty fish on eicosanoids, cytokines, soluble endothelial adhesion molecules and lymphocyte subsets: a randomized, controlled crossover trial. Prostaglandins Leukot Essent Fatty Acids. 87:111-7, 2012. Haddad EH, Gaban-Chong N, Oda K, Sabaté J. Effect of a walnut meal on postprandial oxidative stress and antioxidants in healthy individuals. Nutr J 13:4, 2014. Wien M, Haddad E, Oda K, Sabaté J. A randomized 3x3 crossover study to evaluate the effect of Hass avocado intake on post-ingestive satiety, glucose and insulin levels, and subsequent energy intake in overweight adults. Nutr J. 12:155, 2013.